It’s common knowledge that some automotive reality shows are disappointing. Whether it’s fake drama, problems that are wrapped up too easily, or annoying personalities, it’s hard to find a good old car show. There are a few good ones out there, but you have to dig. I thought about adding these narrow fender flares to the E30 S52 build, but now I’m having second thoughts. 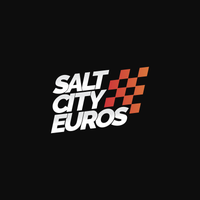 You’ll be able to see the action in episode 4 of our Touring build on Salt City Euros. Let us know what you think of our channel! E30 Touring Suspension + Wheels Upgrade... How Would You Do It? What Would You Do With an Imported E30 Touring? What is the Best 4x4 Recovery Method to Rescue Another Vehicle? Went shooting in the middle of nowhere on Saturday - and when I say middle of nowhere, I mean that the only person within 30 miles is a survivalist/loner who lives in a hand-painted camo trailer on the shore of a lake. Which modern cafe racer would you ride? My friends and I rounded up four of the best modern classics we could find - a Ducati, a Triumph, a Moto Guzzi and a BMW - and hit the town. I keep going with these click-baitey headlines – but I'm always afraid that someday someone will release a video featuring the exact same car and/or bike, and it really will be More Beautiful. … at least, I hope it is. Say what you will about the stance – these are awesome cars. Overrated? Perhaps. Too low for a daily driver? Depends on your tolerance for scrapes and sparks. Gorgeous? YES. I shot with a Sony a7s for a short film yesterday, and I absolutely loved it. Forget Canon!!!! What do you guys think of this e30 I shot? This is a screengrab from an upcoming short film I'm working on. It was pouring outside, so I moved the shoot indoors and shot for several hours underground. Stay tuned for the film! Do you remember those dreams you had, as a kid, when you wished you could drive around a lifted convertible Chevy Astro van? Cruising and taking pictures. I gotta get on a better schedule - but night shots are so rad. And I'm quite pleased with the results. Next track day in two weeks!